The Village at Palmetto Dunes is a hidden gem. It is quiet, peaceful and well cared for, with well-manicured grounds and a friendly staff that goes out of their way to make guests feel welcome. It's located in a lush setting between one of the three world-class golf facilities and a championship tennis club. The pool is quaint and cozy, intimately nestled near two stately oaks, with a barbecue area for grilling. Accommodations range from studios to 3-bedroom units that sleep up to 8. 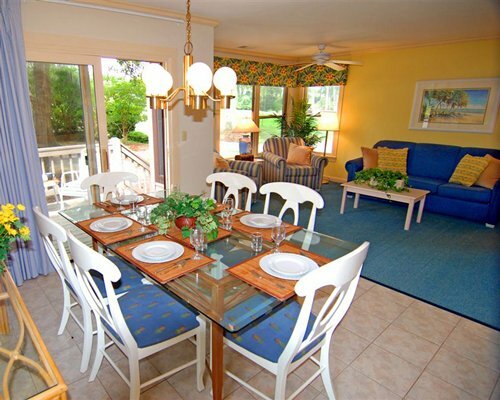 It's a great place for families who want to vacation in style away from the hustle and bustle of big box resorts. 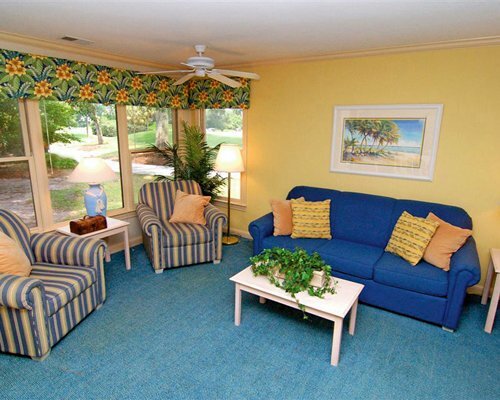 You get real value for your money at The Village at Palmetto Dunes. All studio, and one to three-bedroom units are sizable and even the studios comfortably sleep up to four. Full size kitchens are stocked with dishes, glasses, pots, and utensils making it easy to prepare a meal or reheat a restaurant leftover. Use the money you'll save to explore all that Hilton Head has to offer. For checking e-mail or surfing the Internet, there are wireless connections in every guest room. Speaking of connections, the Savannah Airport is just 35 miles to the south. 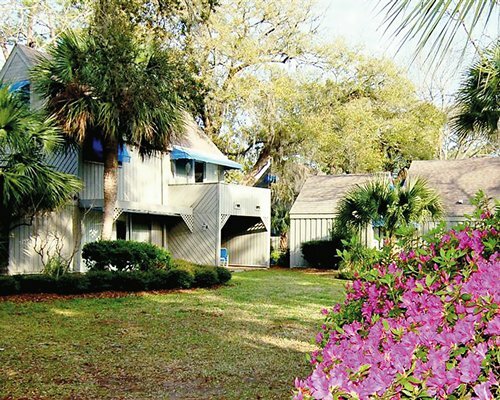 One of the best things about The Village at Palmetto Dunes is its proximity to the beach. It's just a short walk to a beautiful beach and fine dining. Hilton Head is a kid and family-friendly island with endless opportunities for adventure. Among the many activities, there are water parks, playgrounds, an interactive museum, shopping, dolphin cruises and even a pirate cruise that's sure to be a family favorite. 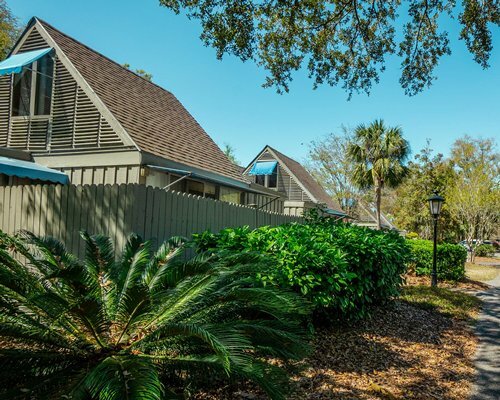 You can fish, canoe or kayak in scenic waterways throughout Palmetto Dunes, enjoys tons of water sports or ride along the shady paths on a bicycle exploring at will. Of course, if you're a golf or tennis aficionado, you won't find a better location than Hilton Head Island. To find The Village at Palmetto Dunes, after crossing the bridges onto the island continue on Business 278 (Wm Hilton Pkwy) approximately 8.5 miles to the entrance of Palmetto Dunes Resort. Turn left into Palmetto Dunes and proceed straight 1/2 mile until you reach the intersection of Trent Jones Lane (You will see The General Store on your left and Alexander's Restaurant on your right). Turn left and follow Trent Jones Lane past the tennis courts (on your right). After the tennis courts, take your second right. As you enter The Village, the check-in office will be immediately on your left. If you anticipate late arrival, please call for the lock box code prior to departure.